Our CT Shop Procedure Packs are our own innovation and they contain the majority of the disposable items that are required to complete a cosmetic tattooing procedure, we tailor them to the machine type, and the packs also come with the specific additional supplies for Eyeliner, Lips or Eyebrow tattooing. 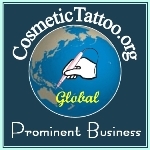 CosmeticTattooist.com's Procedure Packs© are aimed at making your procedures run smoothly and efficiently. Another way that the CT Shop is making your life easier!